Deliver group and private message from school to parent. Configurable two way engagement. 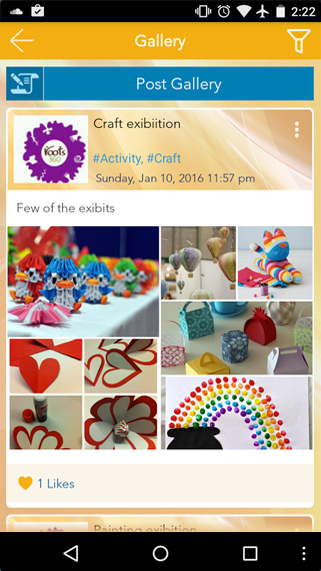 Share photos, audio and video of school activities, celebrations and events. Repository of all events and holidays. 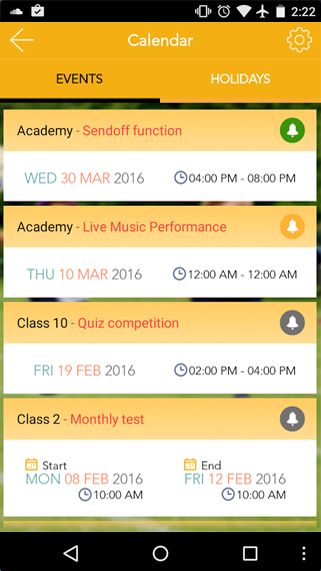 Integrate with personal calendar, set reminders and confirm participation in school celebrations and events. Real-time location tracking of the school bus and trip status notification over the smartphone. Notify student absence as a private message to parent. Record and tabulate student attendance. Create and send certificates, progress cards, daily reports etc. using customizable templates. Enhance the relationship between schools and parents. Eliminates time consuming tasks and reduces the school’s workload. Ensures effectiveness of communication with ‘read-by’ receipts. Streamline and consolidate all school parent communication into an integrated system. Save on bulk SMS, printing & paper costs, managing school diary and multiple communication software maintenance. Futuristic technology available at less than the price of a school diary. Contact us to enroll your institution for quick deployment of SkoolBeep. 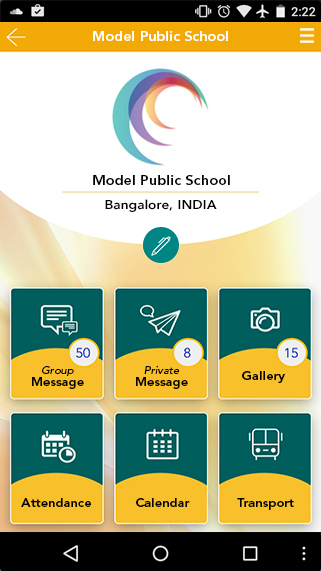 SkoolBeep provides an easy and convenient way for schools to communicate with parents on their smartphones. SkoolBeep's features will be useful to share various multimedia (audio/video/pictures), track the school bus, record attendance, notify events, publish report cards, announce holidays, set reminders, deliver newsletters (pdf & doc), send instant alerts and much more. Parents can also use this platform to contact school on a 1-on-1 basis with absolute privacy. SkoolBeep enables seamless school-parent communication – anytime and anywhere. It provides a very simple and secure way for the school to reach out to parents almost instantly. 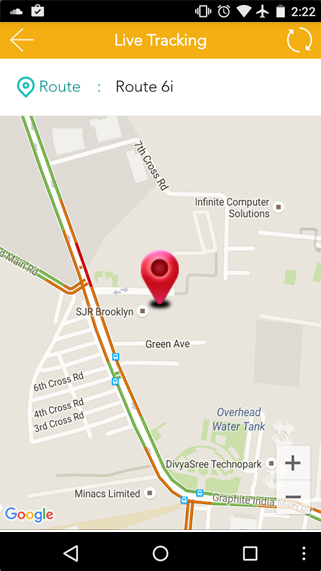 The SkoolBeep app is available for iPhone, iPad and on all Android devices. I completely endorse the skoolbeep application. It makes a hassle free communication between the school and the parents. It is very easy to use, completely paperless and keeps the school and the parent community connected. SkoolBeep makes our communication with parents simple and effective. I like the level of support SkoolBeep team provided and I recommend them. SkoolBeep has made my job easier. Communicating with parents over schooldiary and checking all diaries everyday was time consuming . SkoolBeep has made it very convenient. A unified platform for all school communication and having the information on the go is awesome, Previously information used to be scattered across different mediums ! © 2015 - 2019 Tangsys Technologies Pvt Ltd.